Are you searching for a caring and experienced dentist? Grapevine residents can take advantage of excellent dentistry at Mason Dental Cosmetic & Family Dentistry. When you choose Dr. Mason as your Grapevine dentist, you will have access to top-notch dental technology and services. You can trust Dr. Mason and his team with all types of dental needs. Cosmetic Dentistry | Cosmetic dentistry will give you a flawless smile that everyone will notice. With Dr. Mason as your cosmetic dentist, you can quickly achieve a better smile with our porcelain veneers, same-day crowns, and teeth whitening. Come talk to your dentist in Grapevine, TX about how cosmetic dentistry can transform your entire look. 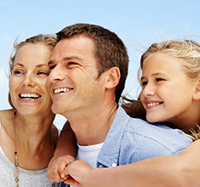 Dental Implants | Our secure and stable dental implants will give you a lasting confidence. If you are missing teeth, come in for a consultation with your dentist. Grapevine patients who are missing teeth are at risk for a crooked smile and jawbone deterioration. To protect your beautiful smile for a lifetime, you need a dental implants dentist. Grapevine residents will love the results of their dental implant placement at Mason Dental. CEREC Crowns | With CEREC crowns, you can walk out of the office of your Grapevine dentist with a brand new smile. Crowns will build up teeth that are weak, worn down, or broken. They will give them a better appearance and more strength. Even better, Dr. Mason, your dentist in Grapevine, TX, can complete your crowns in a single appointment! Sedation Dentistry | You deserve a relaxing dental experience with a qualified sedation dentist. Grapevine patients can feel at ease with nitrous oxide or IV sedation. With Dr. Mason as your Grapevine dentist, you can enjoy a completely anxiety-free dental appointment. Come see a great dentist in Grapevine, TX, at Mason Dental today. Call us to set up an appointment at a time that is convenient for you.